But after fights in cities and states across the country, the industry now faces its most powerful foe yet. The Consumer Financial Protection Bureau (CFPB), created by the 2010 financial reform bill, has the authority to regulate high-cost loans on the federal level for the first time. 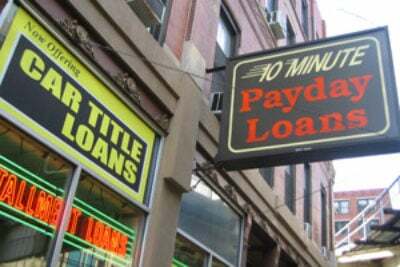 And on Thursday morning, the agency unveiled a first draft of new rules that would sharply reduce the number of payday loans made in the country. You can expect lenders to respond by opening up their playbook. They won’t have to study too hard. The new rules come with clear, ready-made gaps. The simplest and most comprehensive way for the CFPB to prevent lenders from charging sky-high interest would be to, well, prohibit them from charging sky-high interest. But Congress blocked the CFPB from setting an interest rate cap. So instead, the new rules focus on preventing borrowers from renewing loans over and over. A typical payday loan—borrowing $350 with a fee of $45—is due in full after two weeks. But if the borrower can’t pay the full $395, then the lender accepts just the fee. Two weeks later, the situation is repeated. This often happens for months on end. To stop this cycle, the CFPB’s proposal would give lenders an option. Either they can actually check to make sure borrowers can afford the loans or they can face restrictions on how often they can renew a borrower’s loan. The restrictions would essentially prohibit lenders from making more than six payday loans to a borrower in a year. What would such requirements do to the industry? According to the rough estimates CFPB provided in a lengthy analysis, if payday lenders had to underwrite their loans, they would be forced to cut their lending by about 70 percent to 80 percent. If lenders opted to restrict the number of renewals, the number of loans would drop by around 60 percent. And that would certainly send many lenders reeling. Predictably, the industry is critical of a proposal that, if enacted, would slash profits. Dennis Shaul, head of the Community Financial Services Association of America, an industry trade group, said in a statement that payday lenders were “disappointed” in what he described as the CFPB’s rush to judgment. The rules do not end there, and here’s where they get slippery. The proposal also would cover longer-term loans, which the CFPB defines as loans stretching longer than 45 days. But unlike the rules for short-term loans, these are limited to only high-cost loans with certain characteristics. As a result, a lender could avoid being covered by these rules at all—allowing them to renew high-cost loans all they like—by offering a loan that lasts at least 46 days, as long as it doesn’t have the covered characteristics. Payday lenders have been moving to longer-term loans for years, largely in anticipation of a crackdown on shorter-term products. The CFPB has its reasons for choosing this approach. The rules target what the CFPB views as the two riskiest types of longer-term loans for borrowers. The first type involves loans where the lender collects payments through access to the borrower’s bank account. The second involves loans where the borrower puts up title to their car as collateral. In those situations, borrowers risk having their bank account raided or car repossessed if they fall behind. But there are plenty of high-cost loans that don’t have those characteristics and leave borrowers vulnerable. Two years ago, we reported on World Acceptance, one of the largest installment lenders. The company charges annual interest rates that can exceed 200 percent and often keeps borrowers renewing loans over and over. Its practices would be largely untouched by these new regulations. Moreover, installment lenders are often extremely aggressive in pursuing debtors who fall behind, including filing lawsuits as a means to garnish debtors’ wages. The CFPB acknowledges its rules fall short of comprehensiveness. 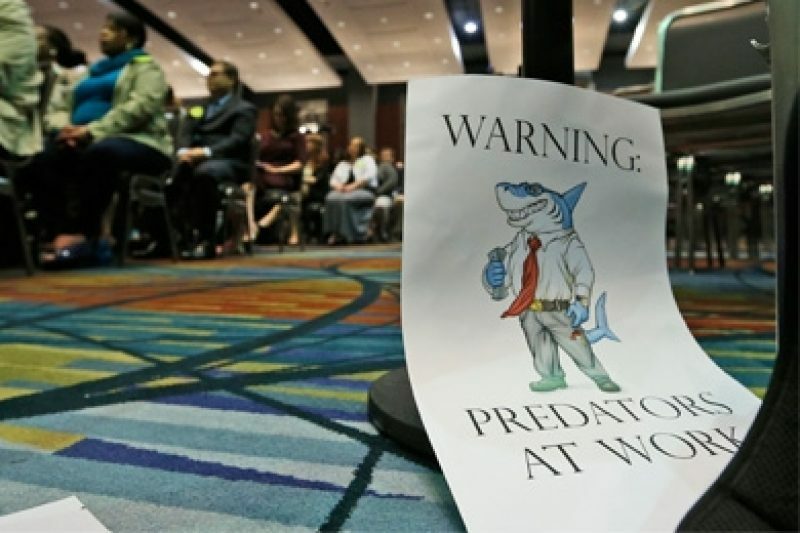 “The Bureau is not seeking to identify all potentially unfair, deceptive, or abusive practices in these markets in the proposals under consideration for this rulemaking,” it states in the analysis released Thursday. Rather, the bureau says more rules are to come, including separate rules governing lenders like World Acceptance. The CFPB is certainly aware of World and related companies: it actually opened an investigation of World last year which has yet to conclude, according to a company statement last month. This federal game of whack-a-mole seems likely to last years. The rules put forward Thursday must still wend their way through a lengthy approval process that will likely take many, many months. It could be years before the new rules are actually enforced. And sometime in the indeterminate future, the CFPB says it will get around to the gaps those new rules leave open. Meanwhile, you can expect high-cost lenders to exploit every gap and possibly discover other loopholes yet to be recognized.